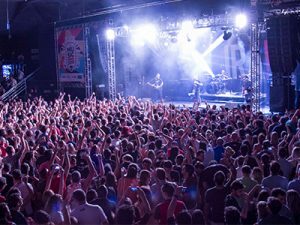 ForMusic operates the production of many kinds of events, with the intention to promote companies and artists. The options vary between parties, private concerts, premieres and many others. The sky is our limit when the subject is reaching the public. We are concerned about logistics and organization, working from the conceptual creation and main objectives of action until the execution, including casting bands, renting venues, invitations, tickets, hosting, staging, sound and light, security, releases, food, video and photo, meet & greet, etc. Every year we organize a music festival in collaboration with an enterprise called CI&T, which offers to their employees and families a very unique experience. We provide two stages, food court, backstage and stage, as well as the reception and logistic to make people comfortable. Artists such as IRA!, Ultraje a Rigor and Dr. Sin were part of the lineup. 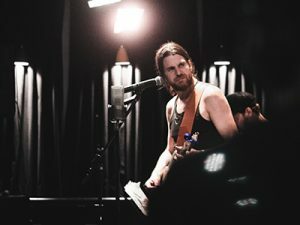 In collab with 89 FM, we have created a private concert with producer and guitarist Jonathan Wilson and the band Lucius. Both artists were on tour with Roger Waters in Brazil and promoting their own work all over the country. 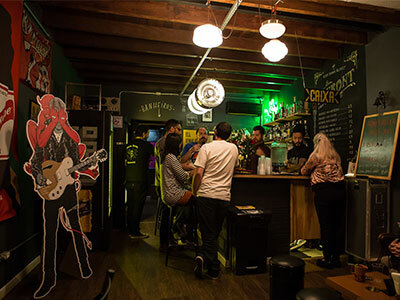 This took place at Studio Pheabes, in Vila Olímpia, and had around two hundred people attending it. We organize many exclusive album-listening parties to fans, journalists and the general public. Among those is Villains, which is the last album of North American band Queens of The Stone Age and the soundtrack of Suspiria, by Thom Yorke.